On Sale Today... Check Out The Deal! If you have any other questions simply contact us or order here. 1. Are the presentations 100% editable and printable? Answer: Yes. 2. Are the presentations for use on an iPad and/or tablet? Answer: Yes. 3. Is There A Free Sample? Answer: Yes, get your free sample presentation. 4. Can I See Presentation Examples? Answer: Yes, view listing presentation examples. 5. What software is required to use the presentations? Windows Users: PowerPoint version 2010 or better. Mac Users: PowerPoint for Mac ver. 2010 or better, or Keynote. Note On Tablet/iPad: Our listing presentations are also compatible for iPad and tablets (with PowerPoint or Keynote). 1. How Do I Receive My Order? You will receive your order instantly by way of a download page. Nothing is shipped to you. It is not necessary for us to ship as this is a digital purchase. 2. Do I Need PowerPoint To Use The Listing Presentation? 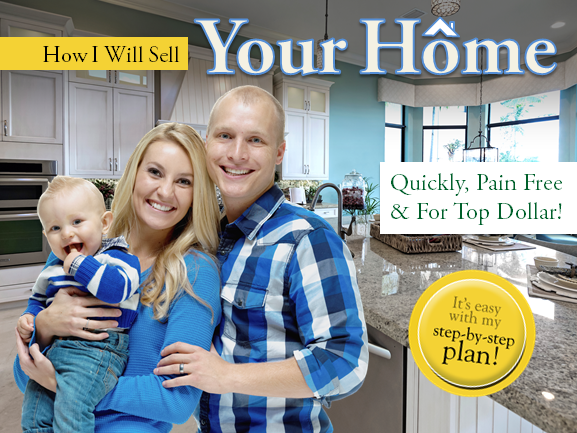 Yes, since these listing presentations must be opened in PowerPoint to edit and print. Presentations also work with Keynote for Mac. 3. What Version of PowerPoint Do I Need? PowerPoint version 2010 or higher for either Windows or Mac. The presentations will also work with Keynote for Mac. 4. What If I Don't Own PowerPoint? Where Can I Get PowerPoint? We highly recommend you purchase PowerPoint for our presentations or use Keynote on MAC. 5. Are The Presentations Compatible With Mac & iPad? A. Mac : Yes, in order to edit and print the presentation you need to have PowerPoint version 2010 or higher or Keynote for Mac. B. iPad : Yes, they will work in iPad. Please note you must either download Keynote for iPad OR export into a different format before placing on your iPad. NOTE: By default iPad does not open/use PowerPoint files - Here are your options. Option 1 : Download Keynote for your iPad in the App store. Keynote will allow you to also do edits to the listing presentation although it is not as powerful as the computer version. Option 2 : Do a "save as / export" on your PC/MAC to another format... like an image slideshow or a PDF file... both of which iPad will open. 6. Can I Email The Presentations To My Client? Yes, just email the presentation as an attachment... just as you would with any file. 7. Can I Download The Presentation To More Than 1 Computer? Yes, you can download your order and use the presentation on any computer(s) that you use... for example your home computer and office computer. 8. What If I Lose My Presentations At Some Time In The Future? We have a 'retrieve order' page, or call/email us and we'll re-send your download link. 9. How Hard Is It To Edit & Print The Presentation? Very easy. If you are not familiar with PowerPoint you can simply do a 'YouTube' on how to edit and print PowerPoint files. 10. Do You Train Me On How To Use PowerPoint? No. You can simply search for a "how-to" video on YouTube and quickly learn the basics of editing and printing PowerPoint. 11. 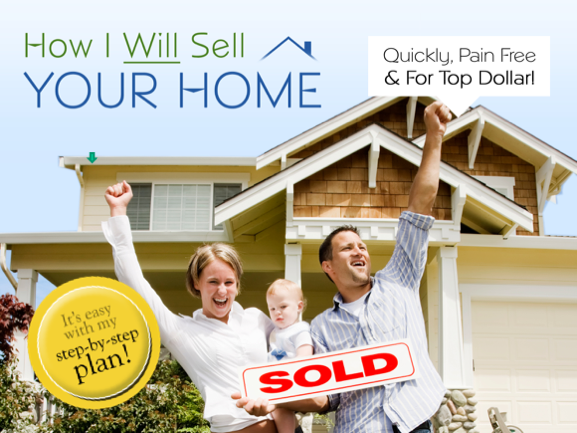 Is There A Money Back Guarantee On The Performance Of The Listing Presentation? Yes on the functionality as a MS PowerPoint product, meaning we guarantee our product works in the MS PowerPoint. However on performance, meaning do we guarantee you will win listings using our product... no as that falls outside our control. 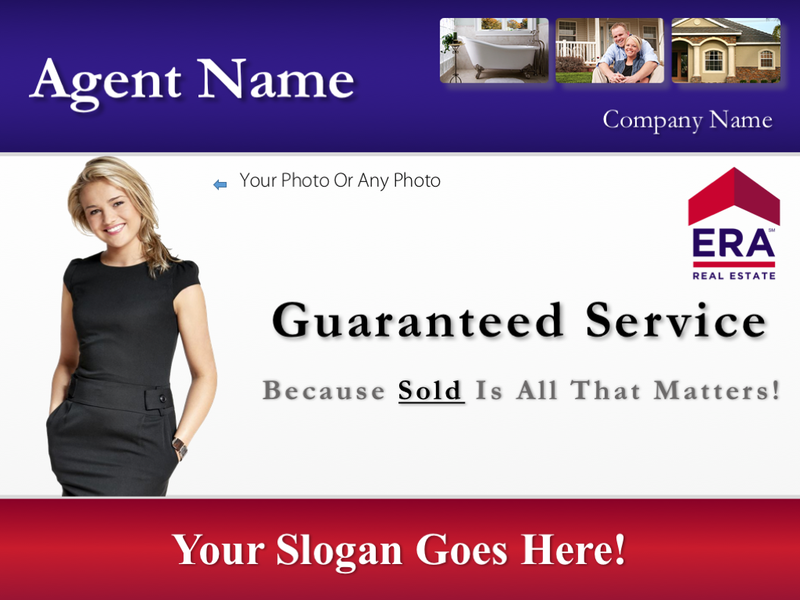 No company could possibly guarantee to any agent a seller will list with them. See secure order page for refund details. 12. Is There A Free Sample? Yes, Request a free sample presentation. 13. Can I See Presentation Design Examples? 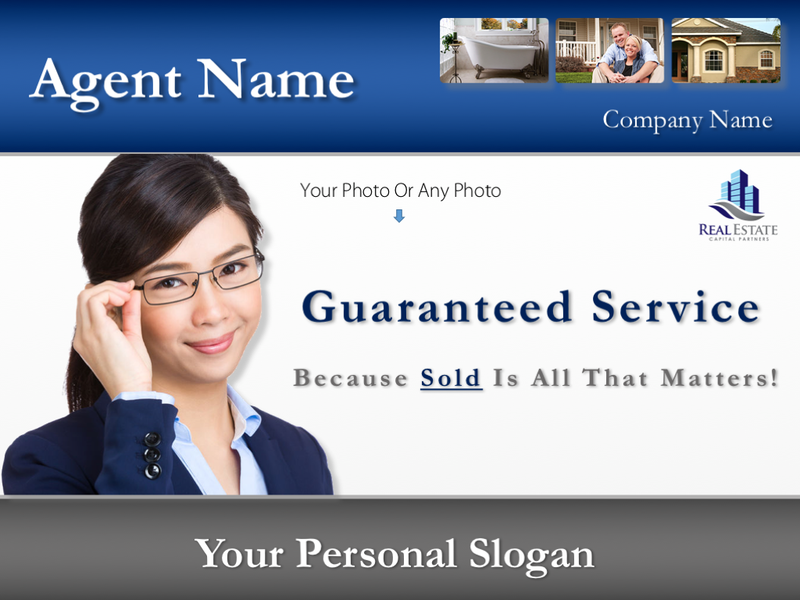 Yes, Simply visit our presentation examples page to view all available presentation template designs. 14. Do You Offer Company Template For Major Companies? 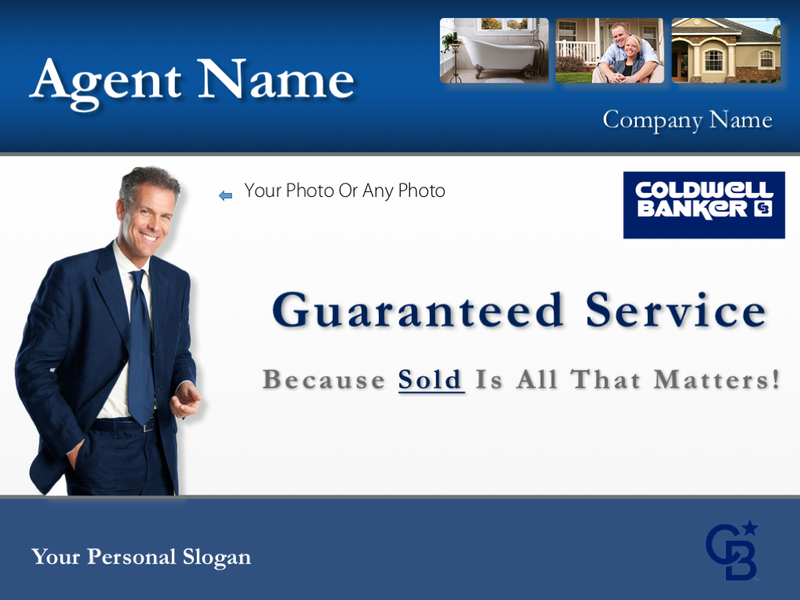 Yes we do offer 'company designs' for many of top real estate companies. 15. Do You Offer A Unique Custom Design Presentation? 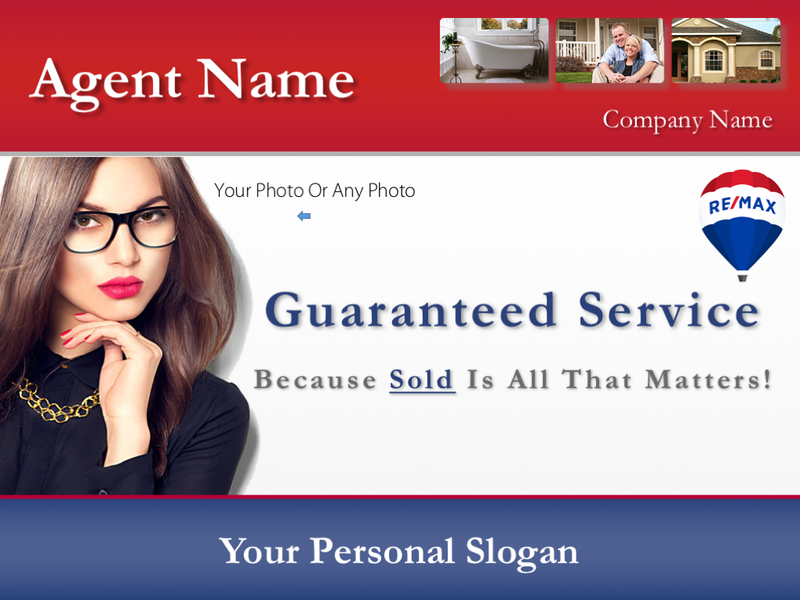 Yes we do offer a unique custom designed listing presentation, visit our premium custom listing presentation page for more information, pricing and examples of past custom designs.